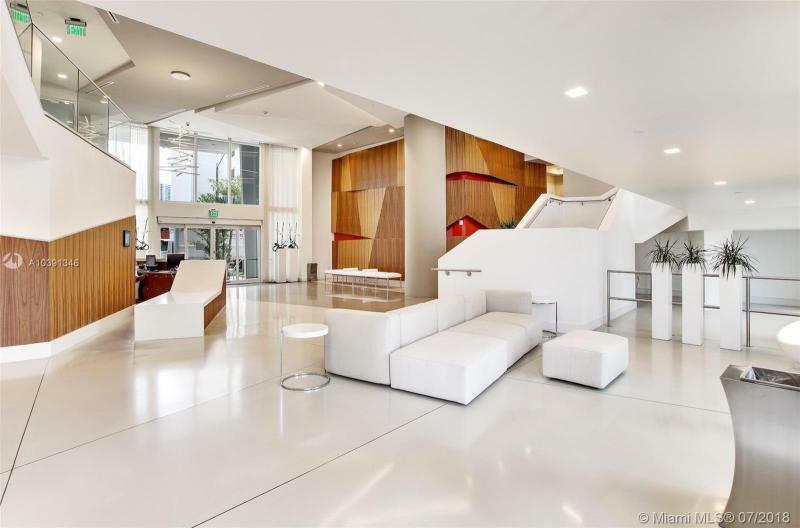 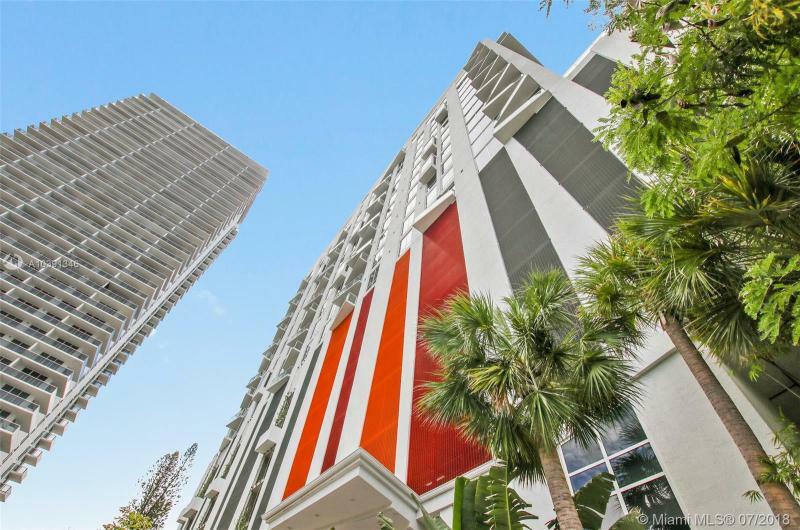 The Crimson condominiums uniquely combine the geometric verve of the Art Deco heritage of Miami’s architectural past with a splash of tropical color and a large dose modern vitality. 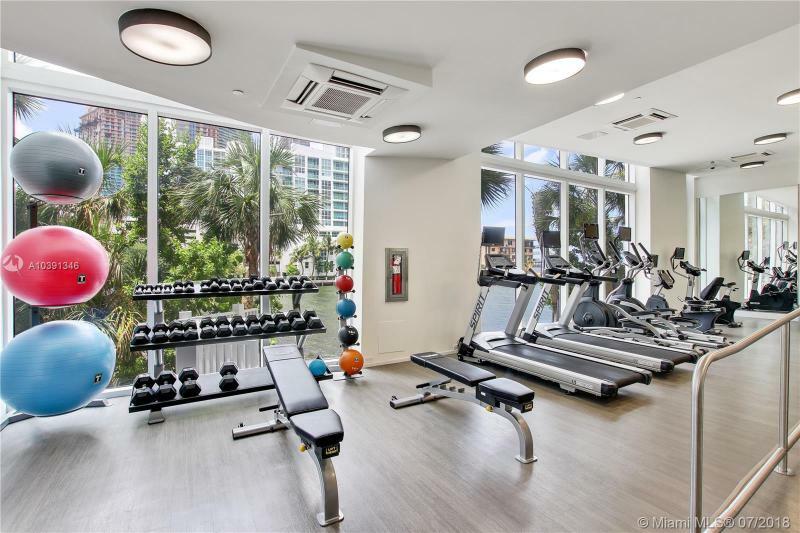 Invest in design excellence, quality of surfaces, wide-ranging amenities and environmentally sound building concepts are on full display. 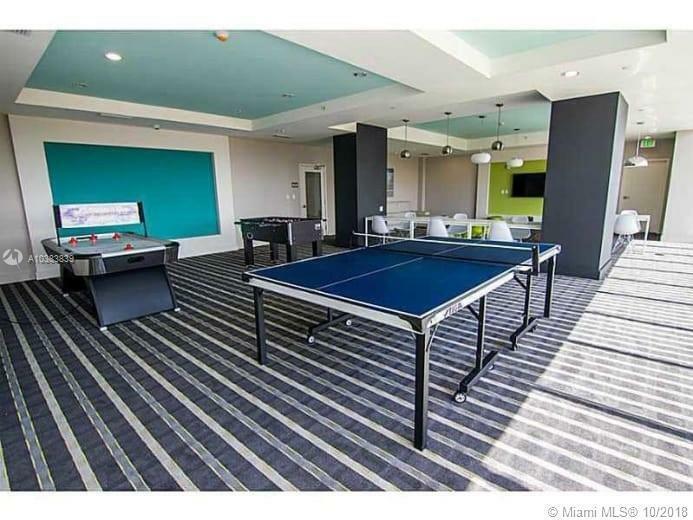 The downtown Miami location alone speaks volumes in favor of the Crimson. 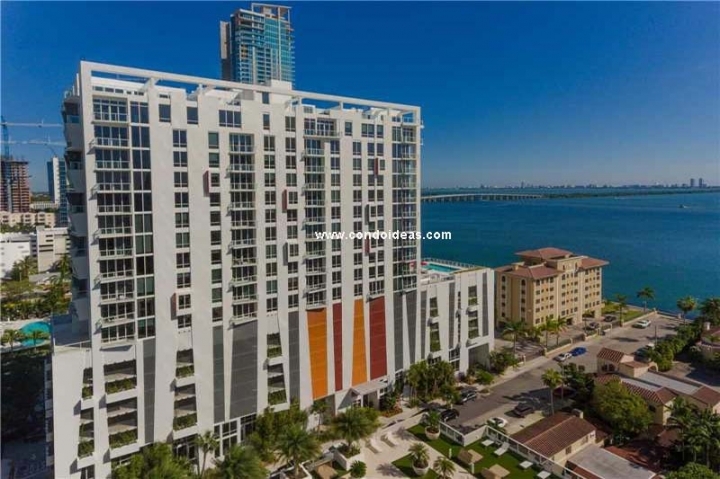 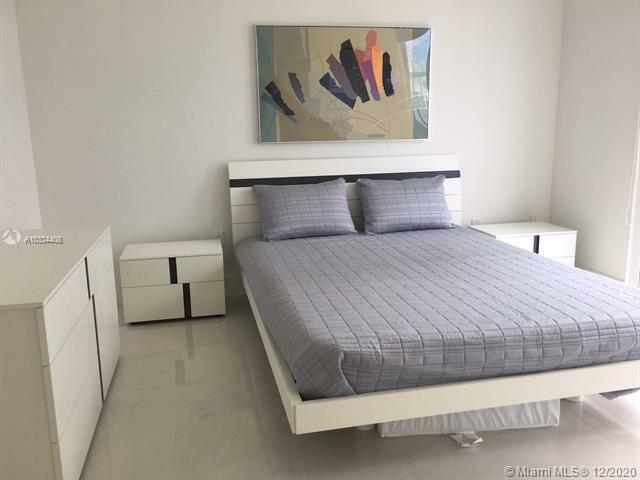 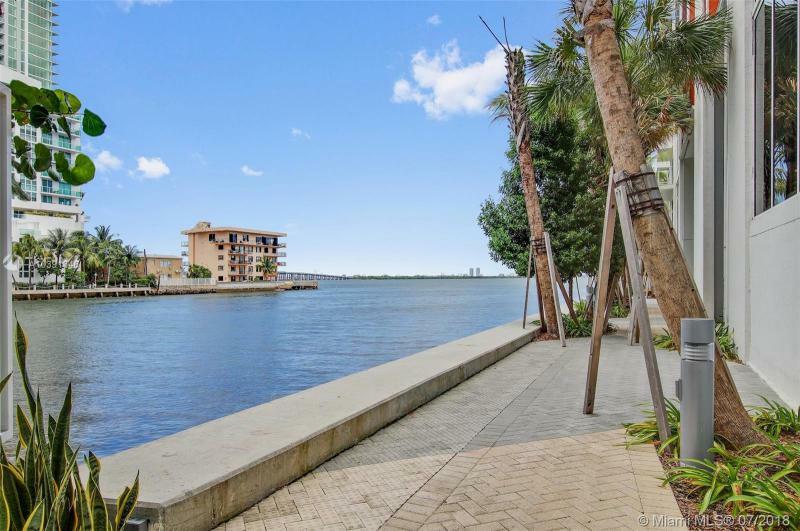 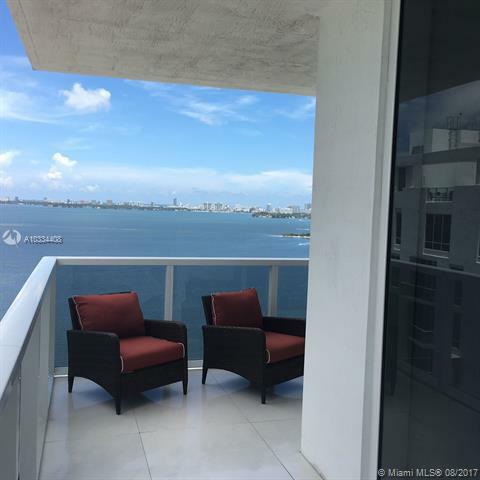 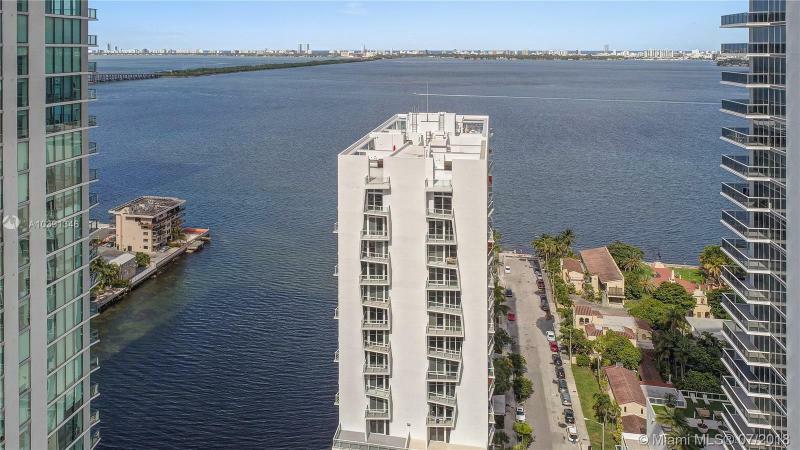 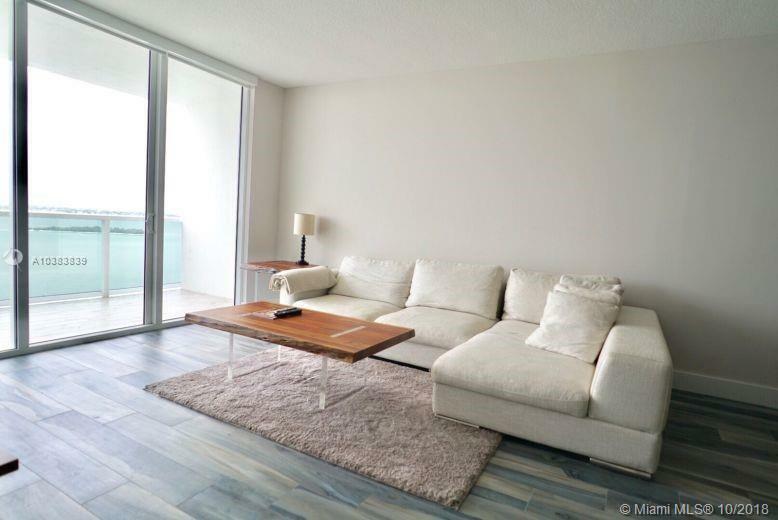 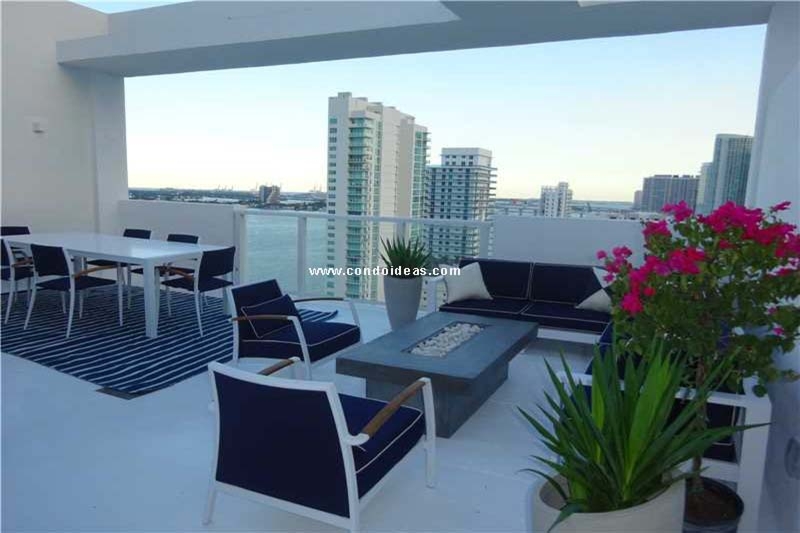 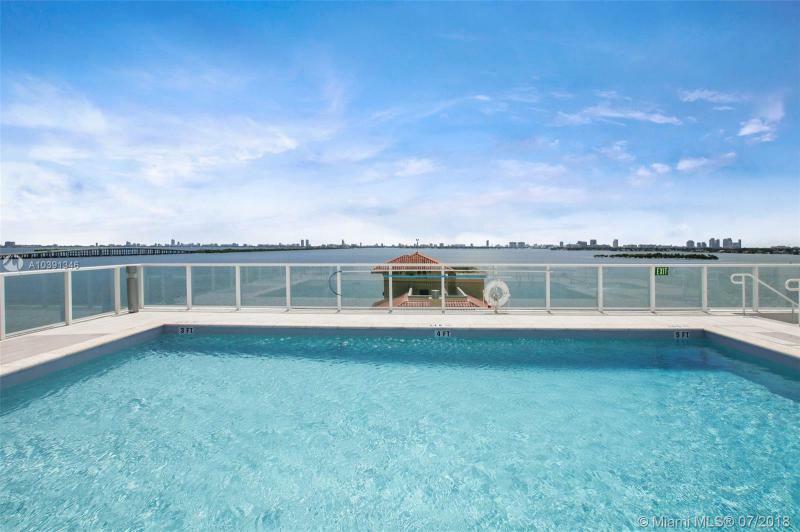 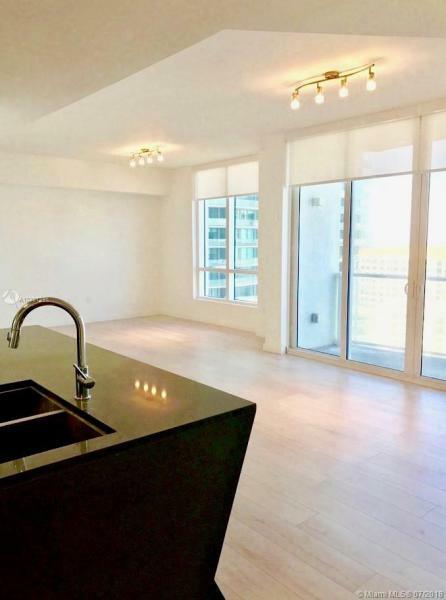 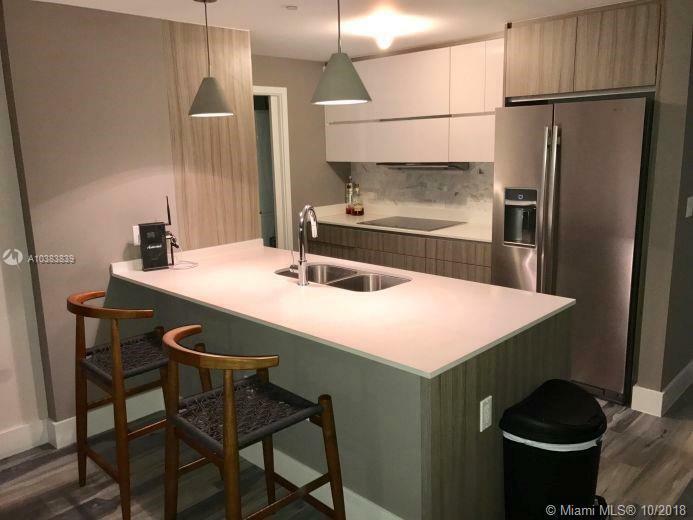 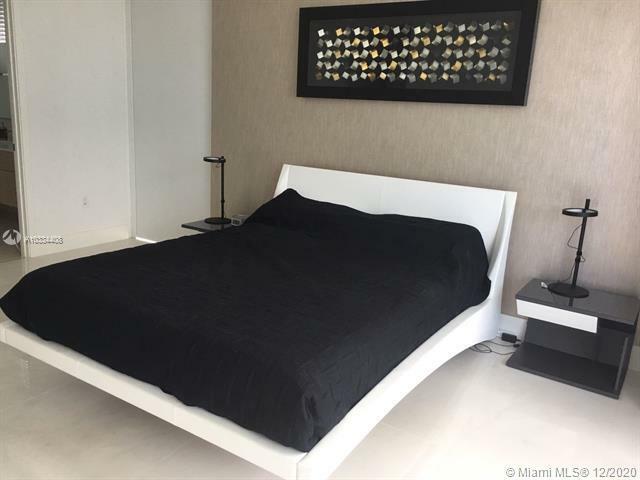 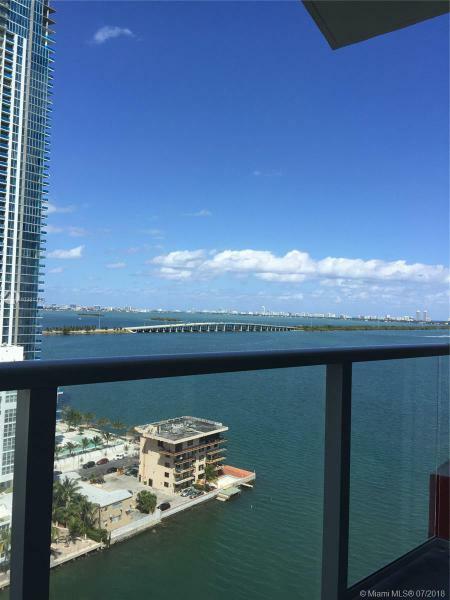 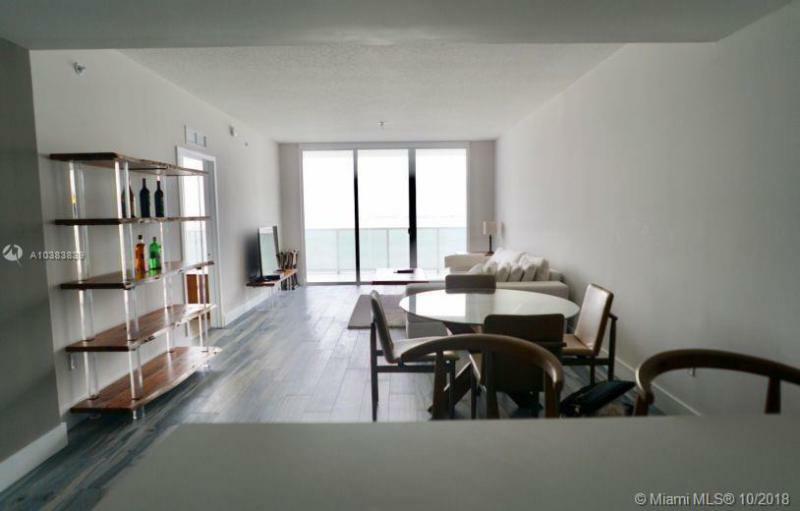 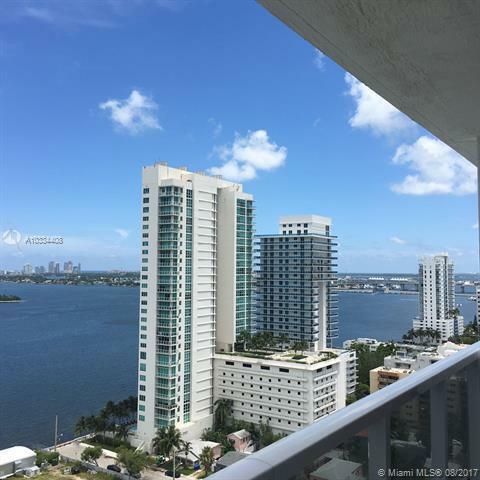 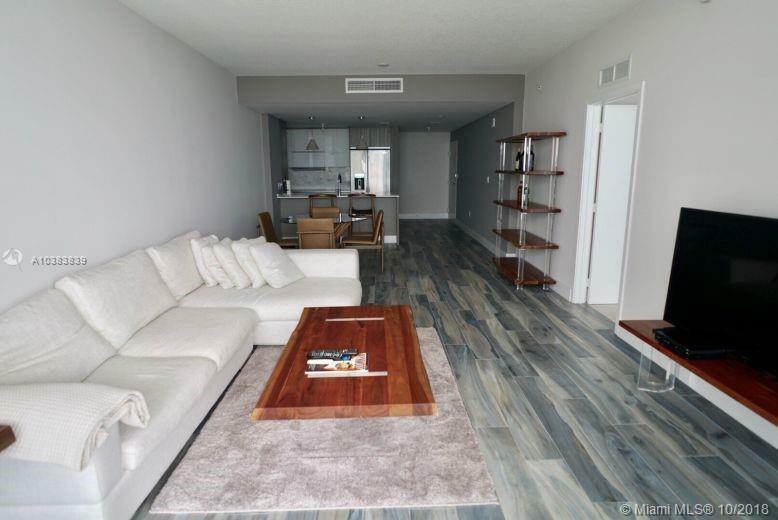 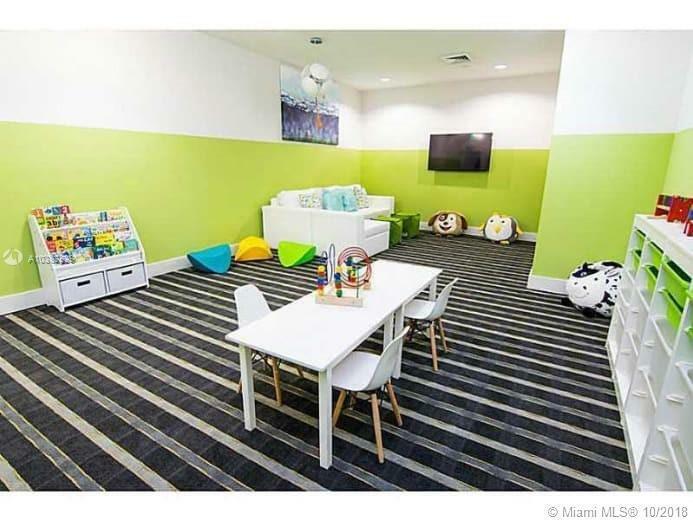 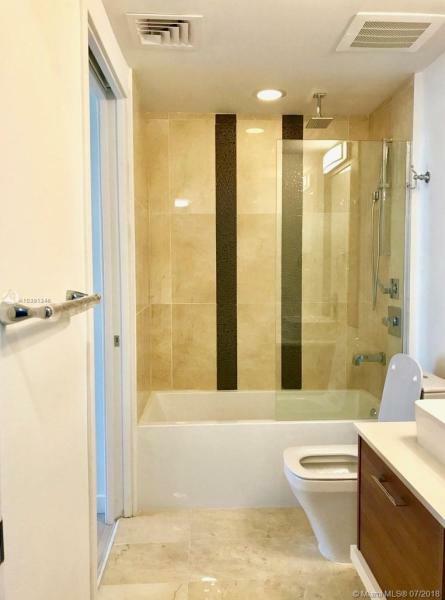 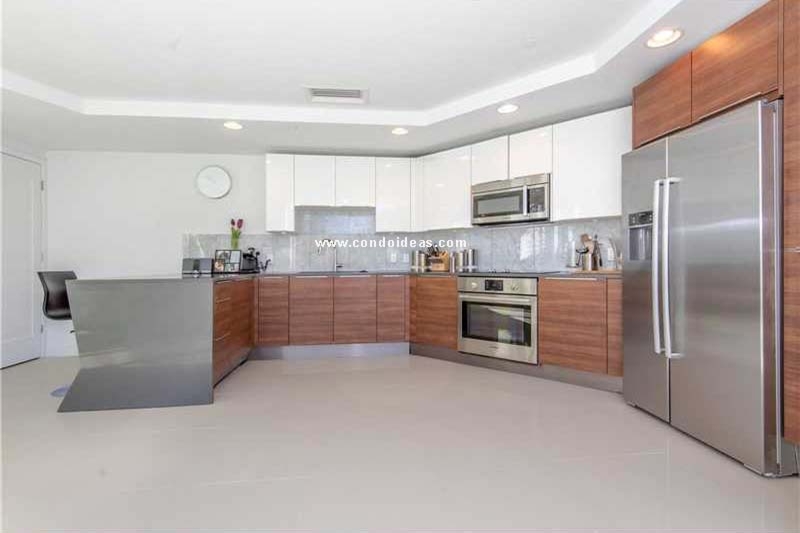 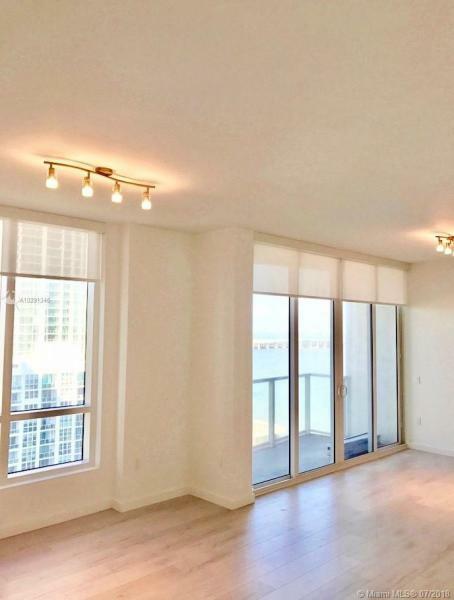 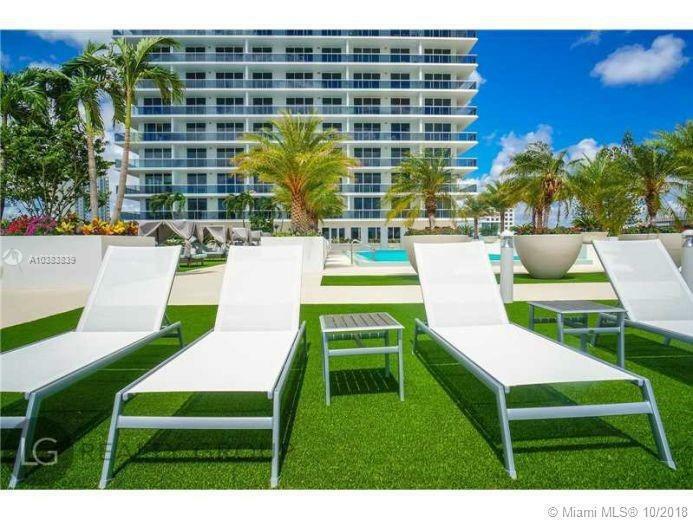 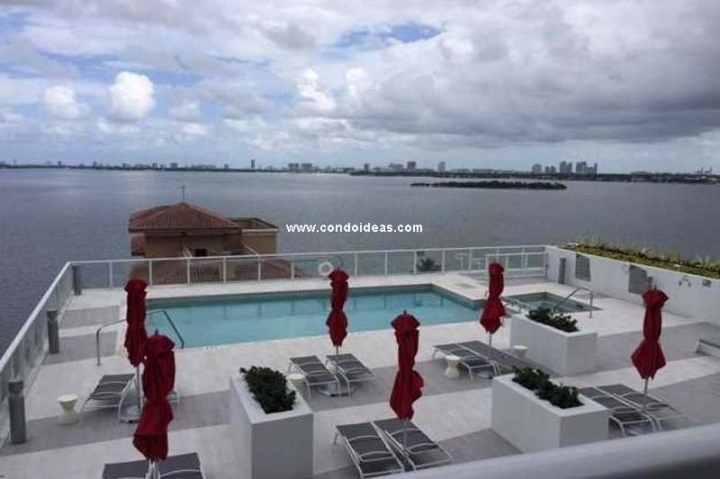 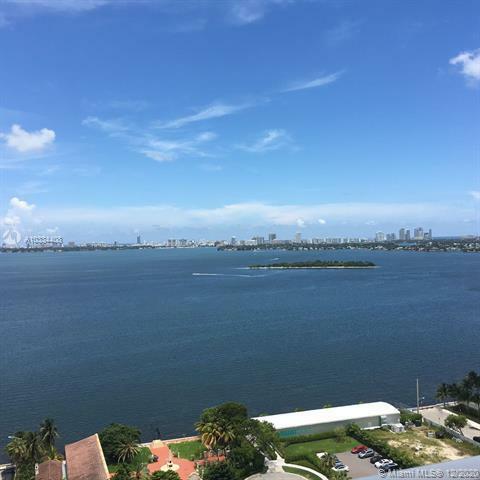 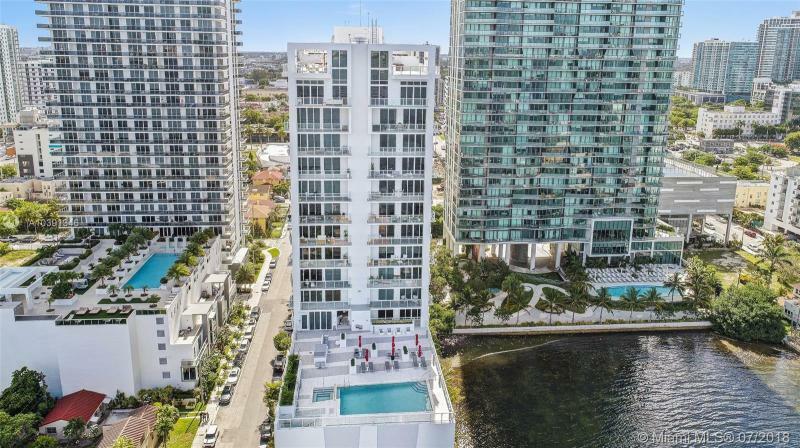 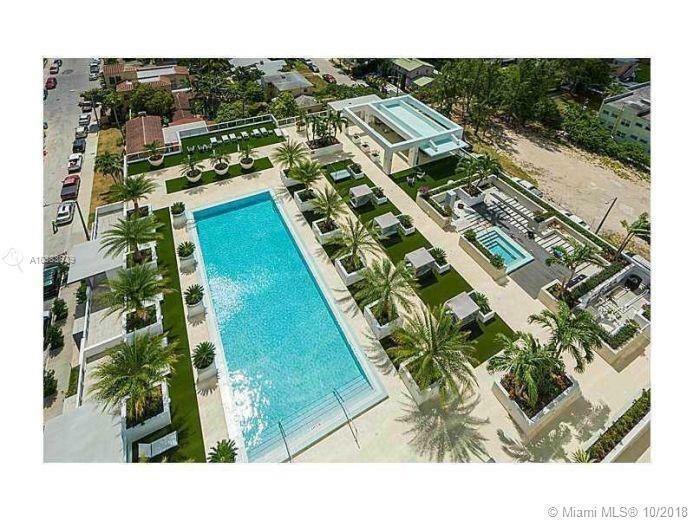 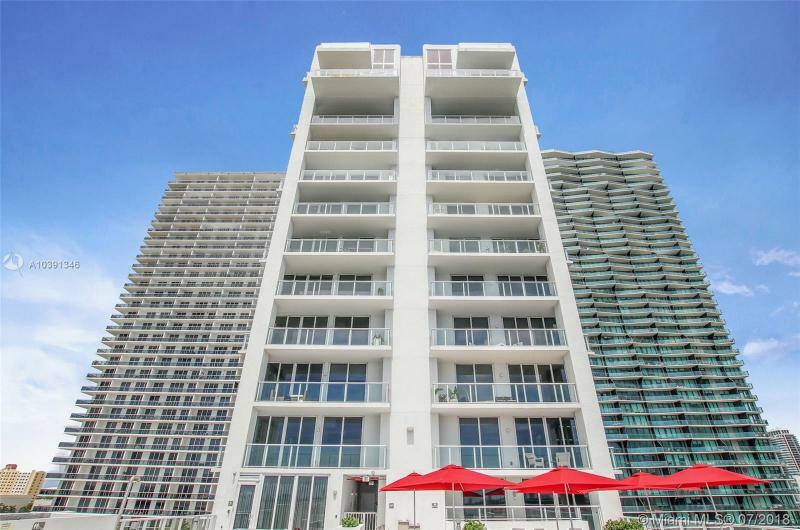 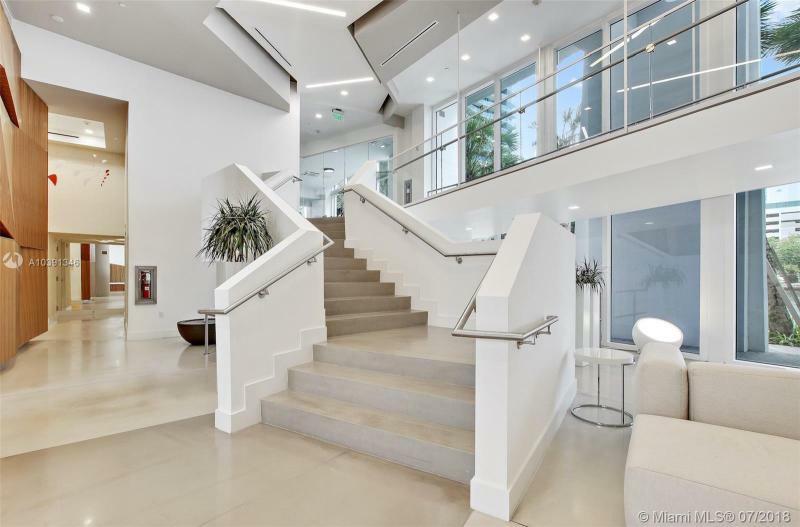 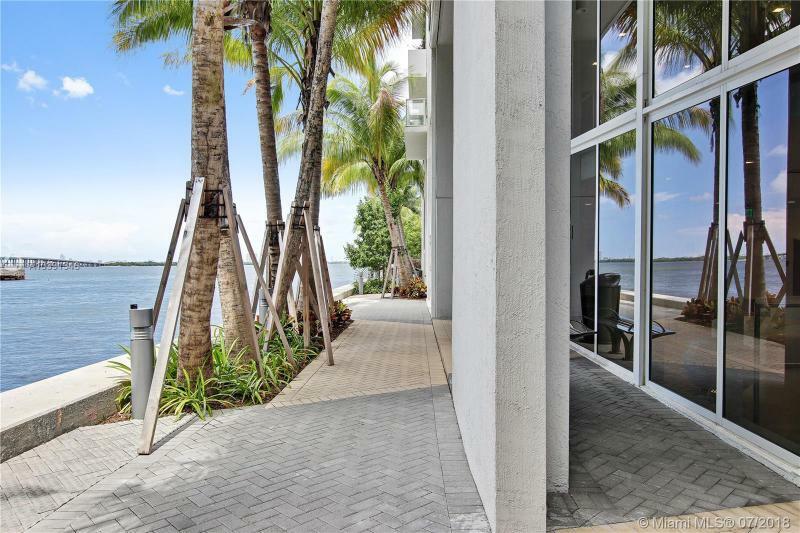 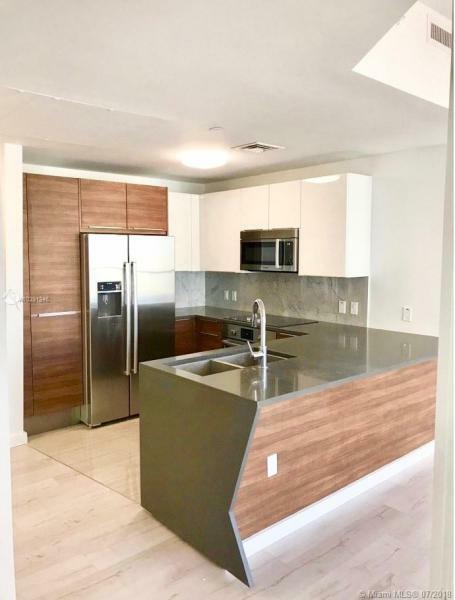 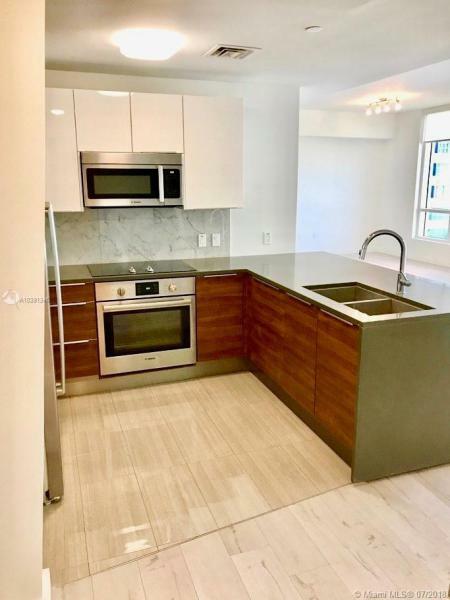 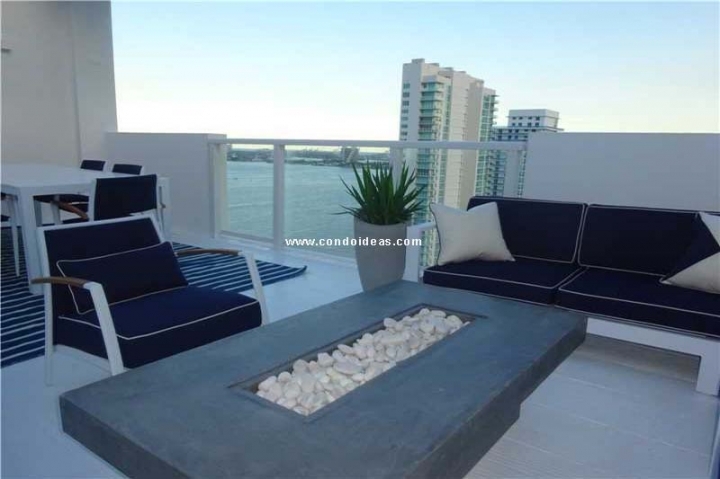 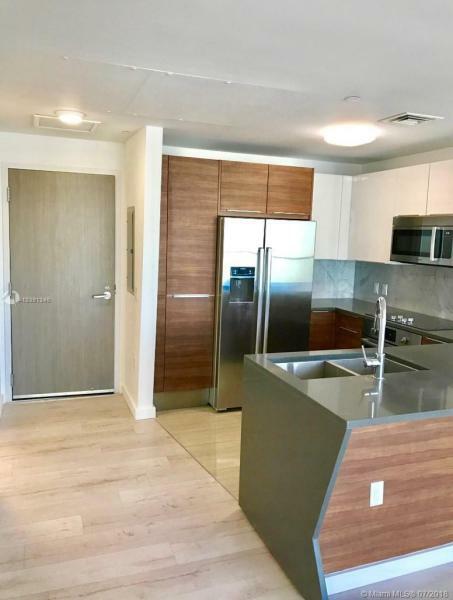 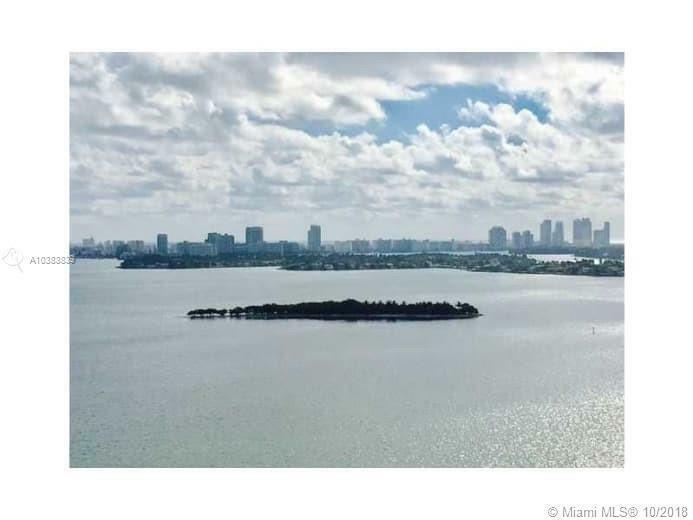 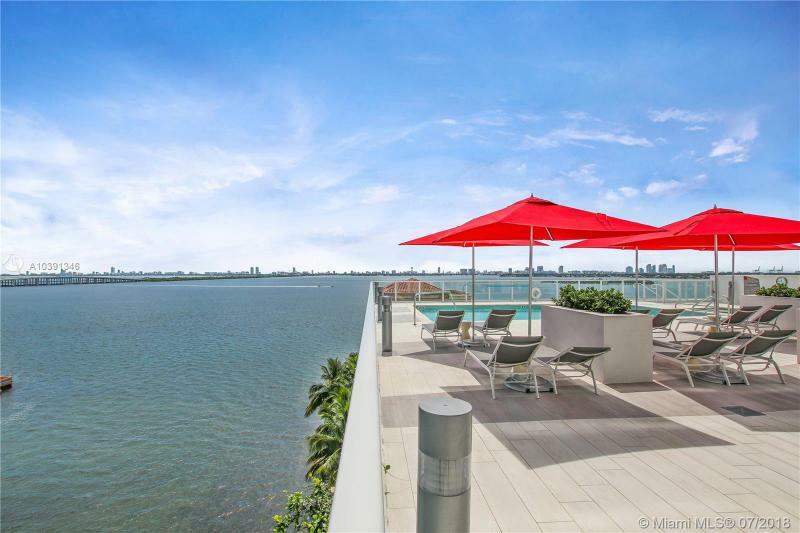 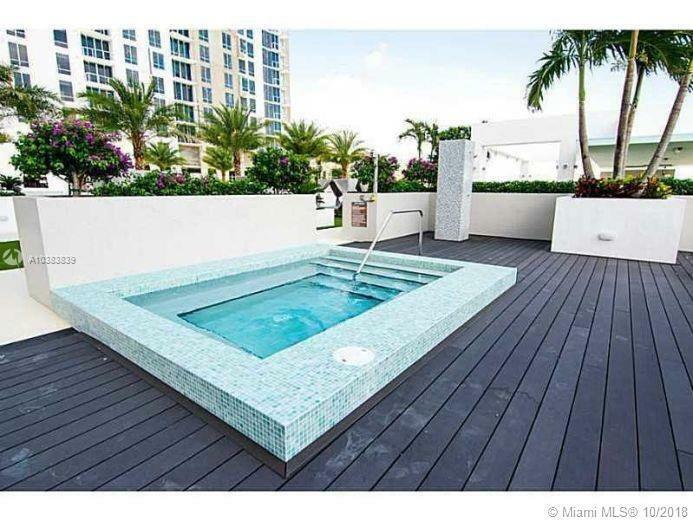 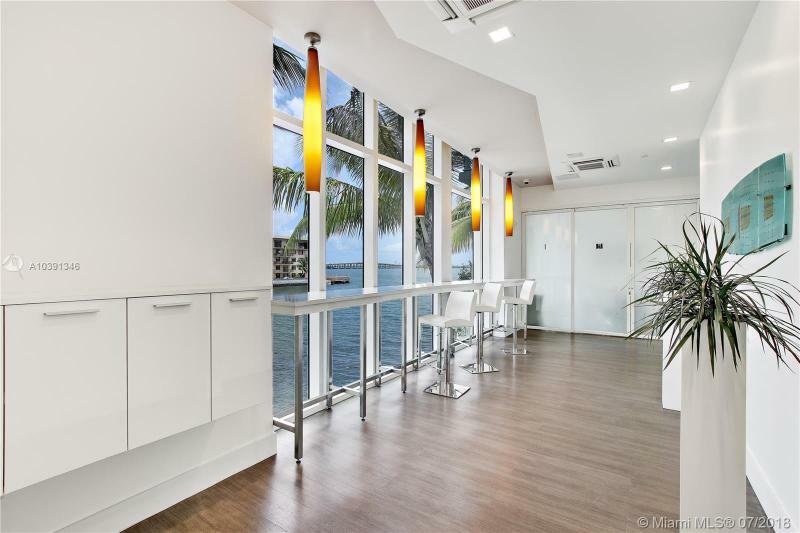 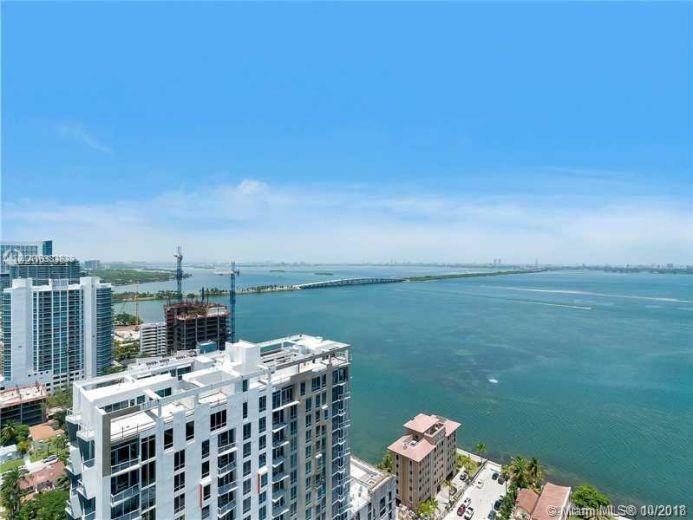 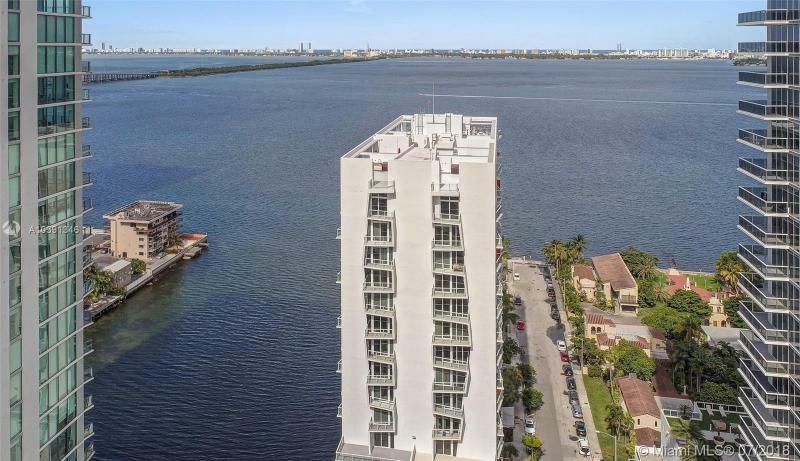 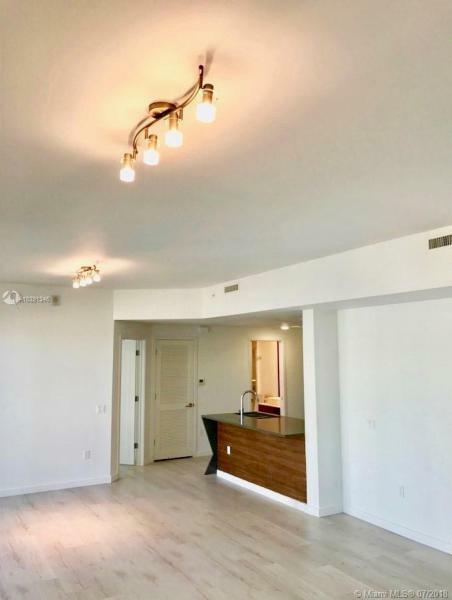 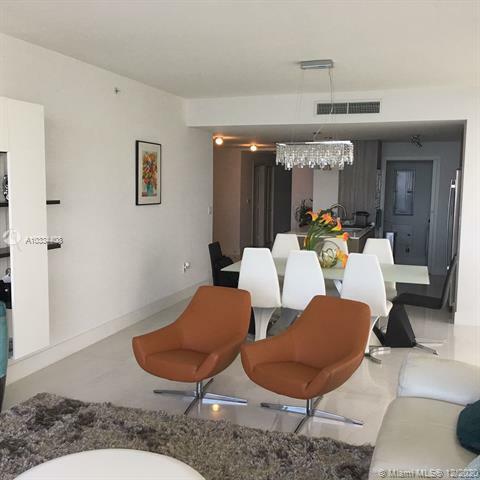 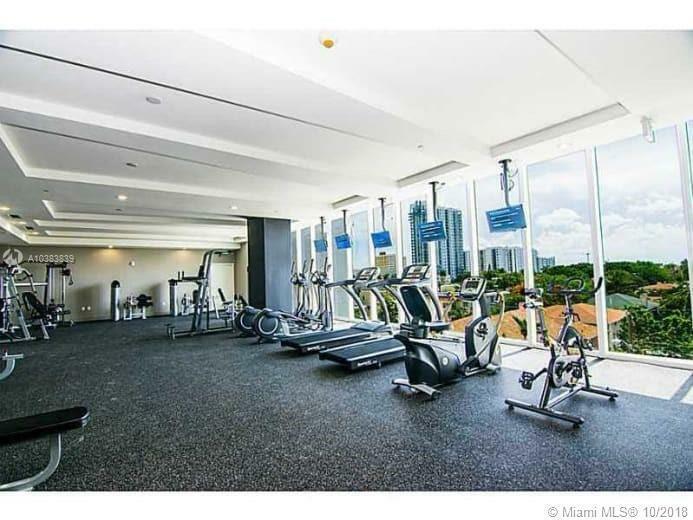 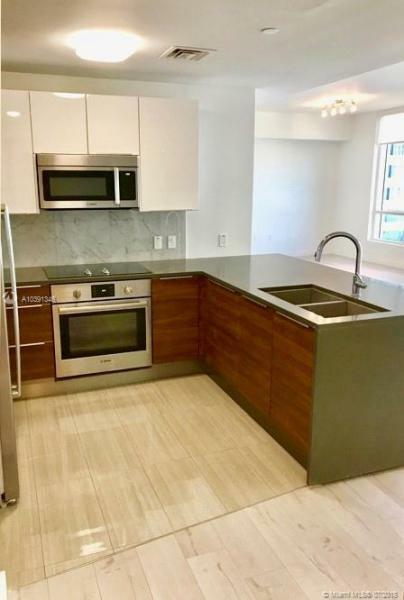 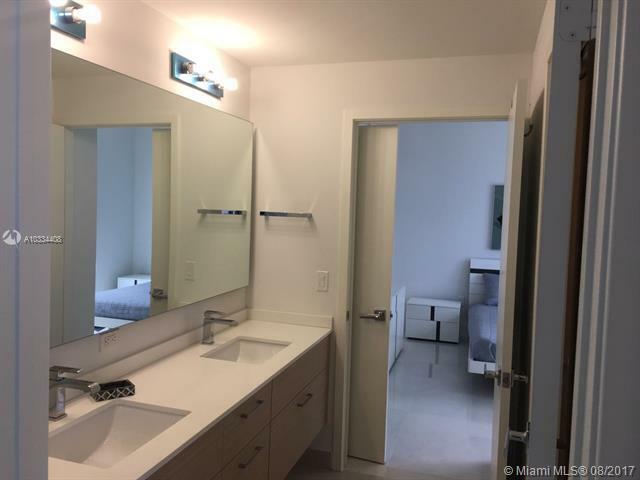 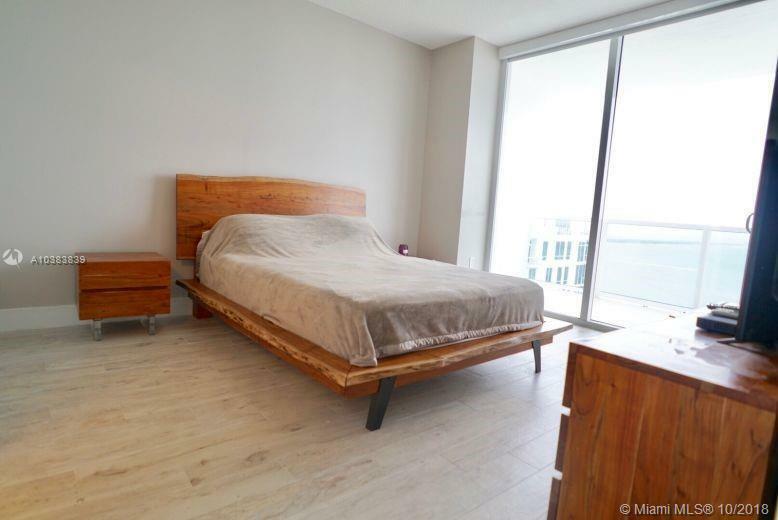 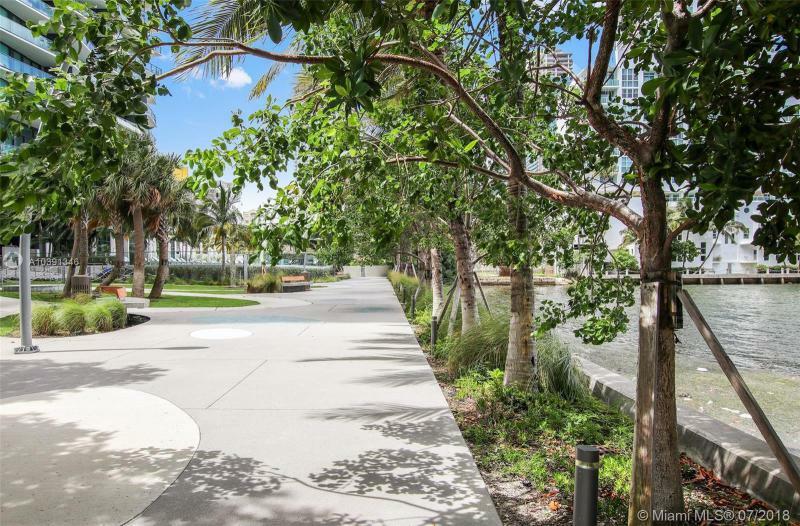 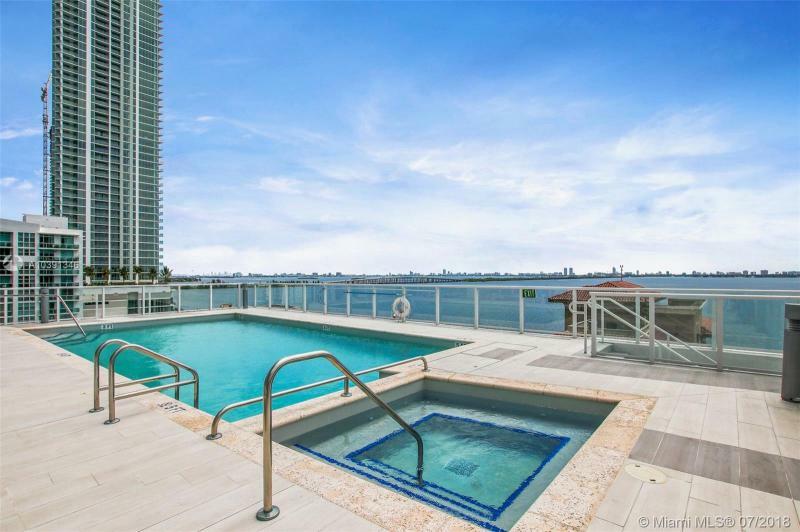 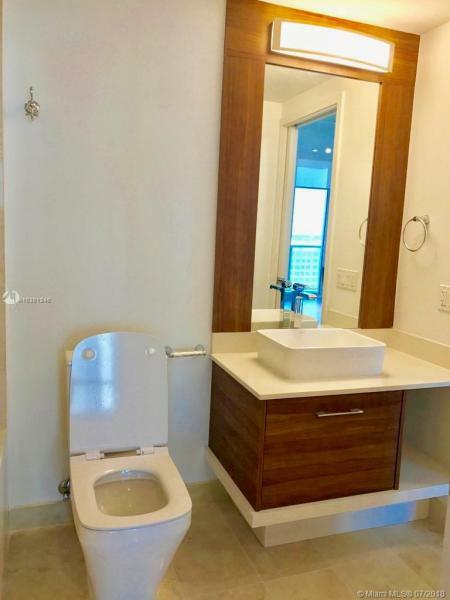 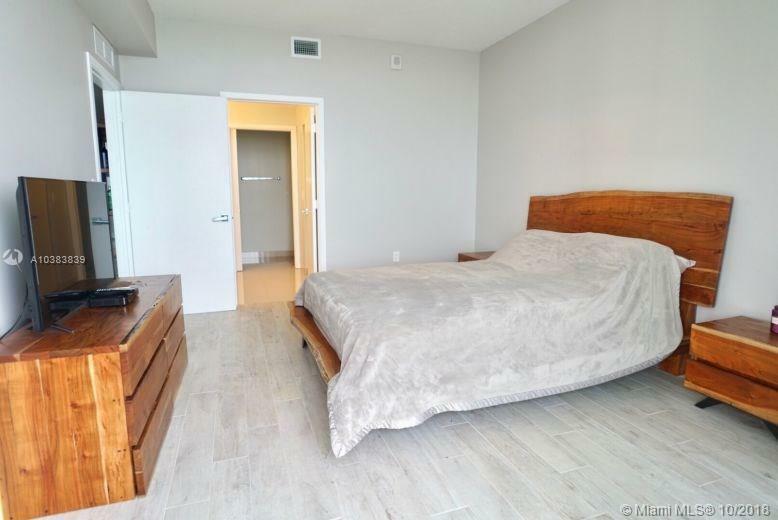 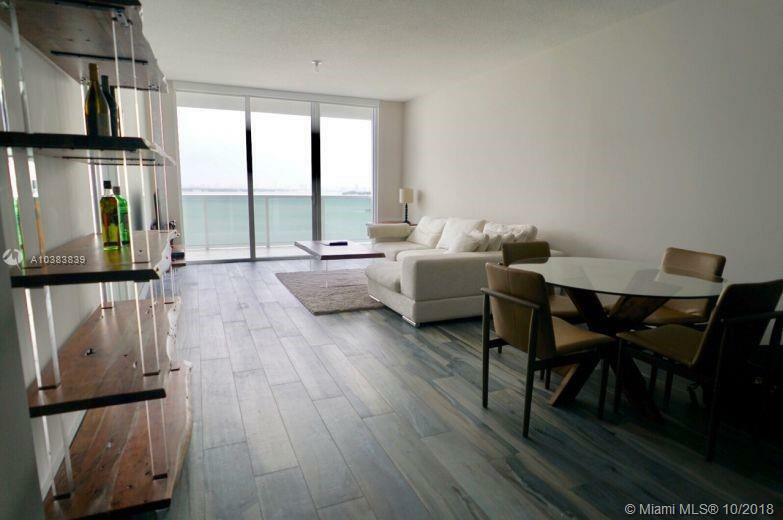 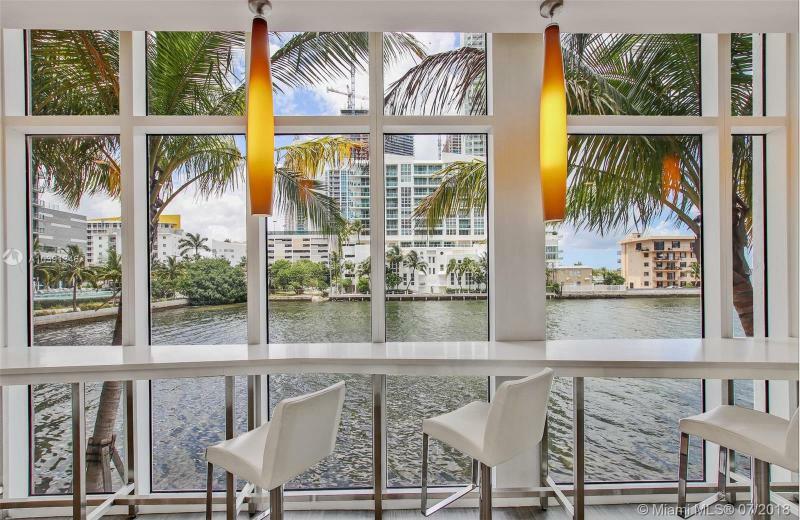 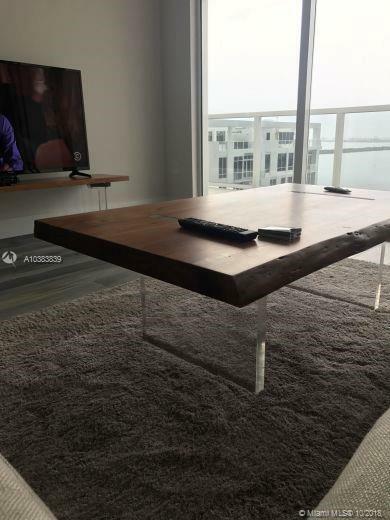 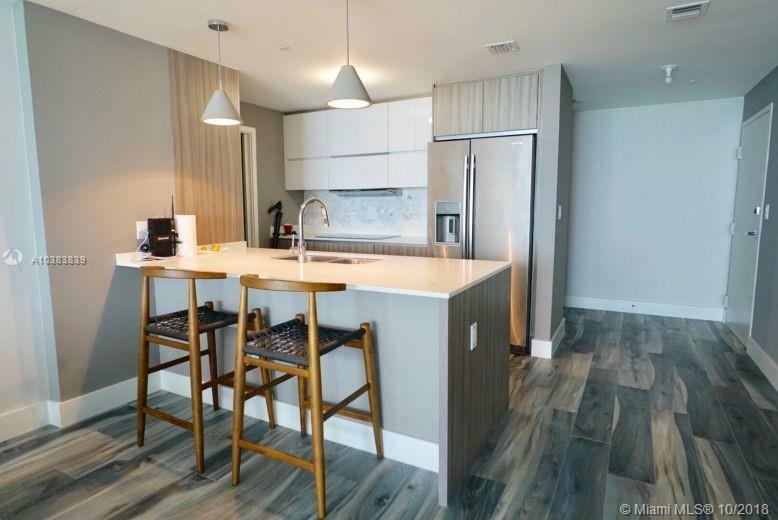 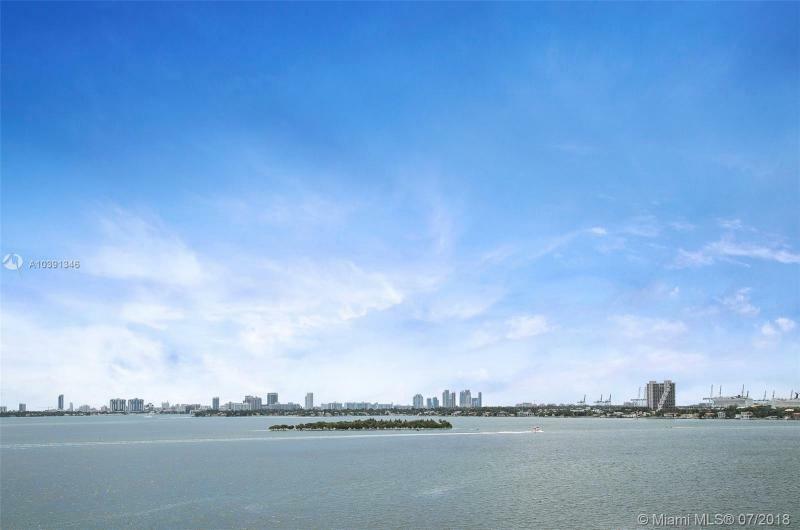 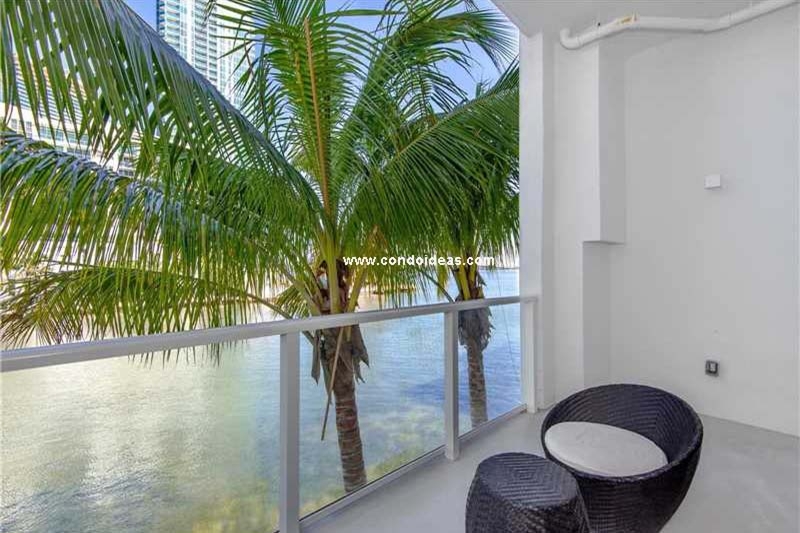 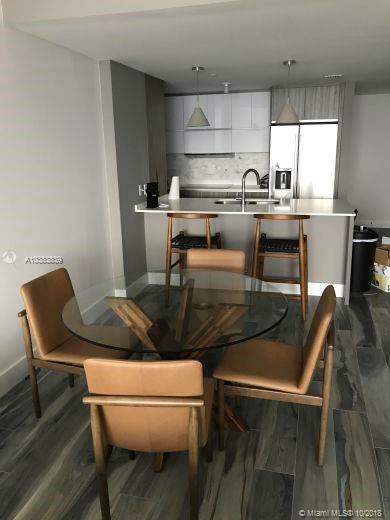 Situated at 2527NE 27th Street, this boutique-sized residential tower – with only 90 units on 18 floors – sits with one foot directly on Biscayne Bay and the other connected to the rapidly developing downtown business, dining and entertainment area of Edgewater. An exciting grouping of amenities has been organized around the eighth-floor pool deck, offering what one would expect in a larger condominium development. 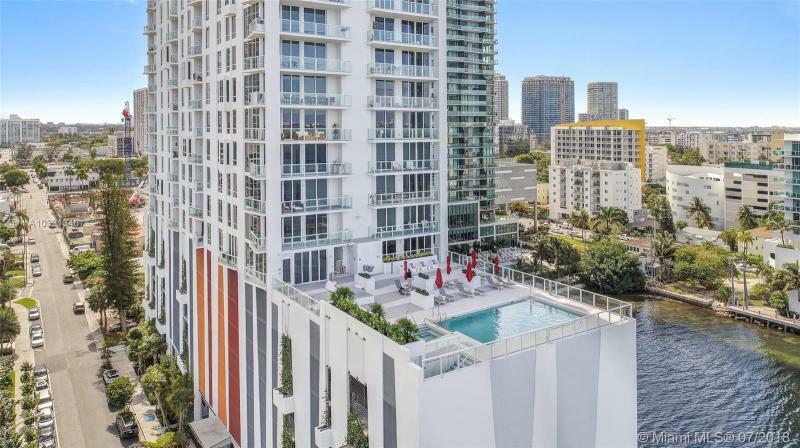 Here the residents-only “C–Club” provides a landscaped sundeck perfect for promenades and made accessible to an expansive pool, relaxing hot tub, and an indoor/outdoor mini-theatre. 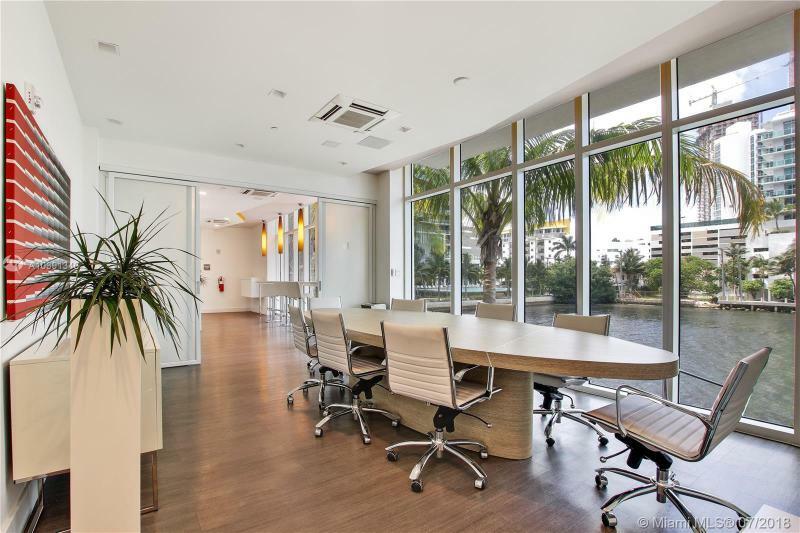 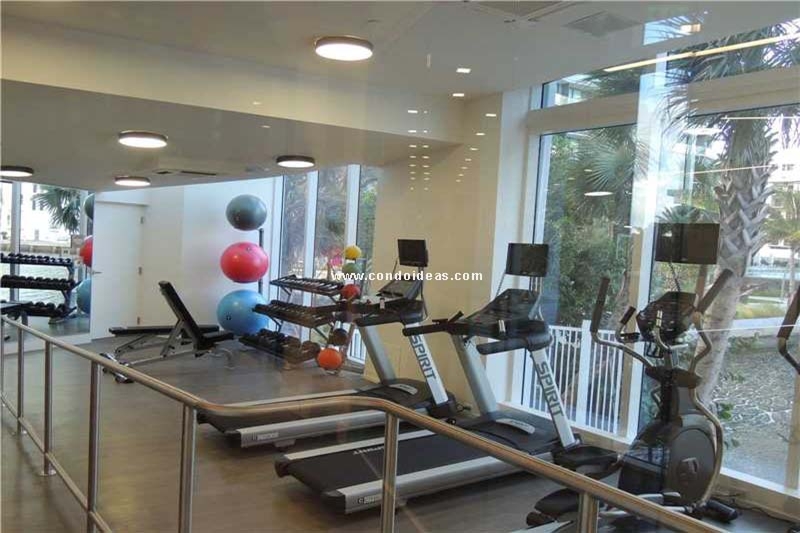 In addition, the sleek, soaring mezzanine floor provides a state-of-the-art gym, as well as a business center, lounge and cybercafé. 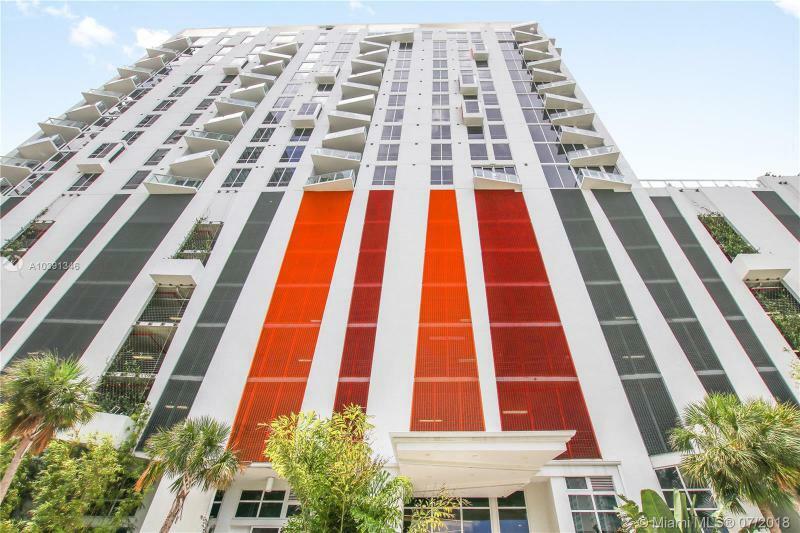 The splashy exterior of the Crimson condo is complemented with style and finesse inside. 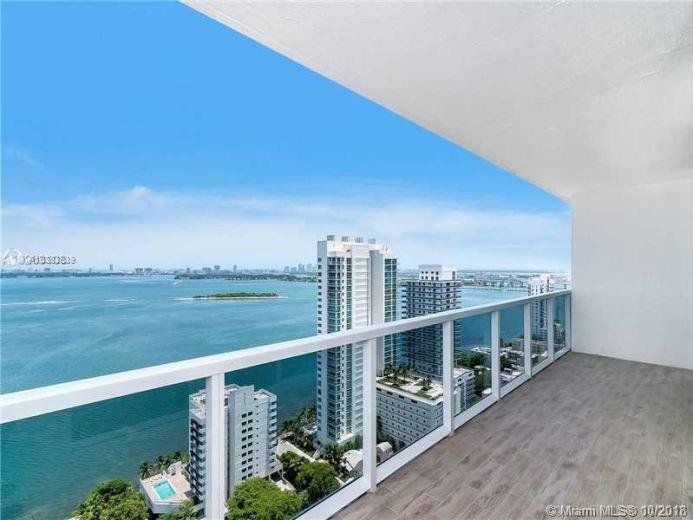 Every residence opens onto an individual balcony or terrace through floor-to-ceiling impact-resistant glass doors that let in the ocean air and provide a view of the city or the Bay. 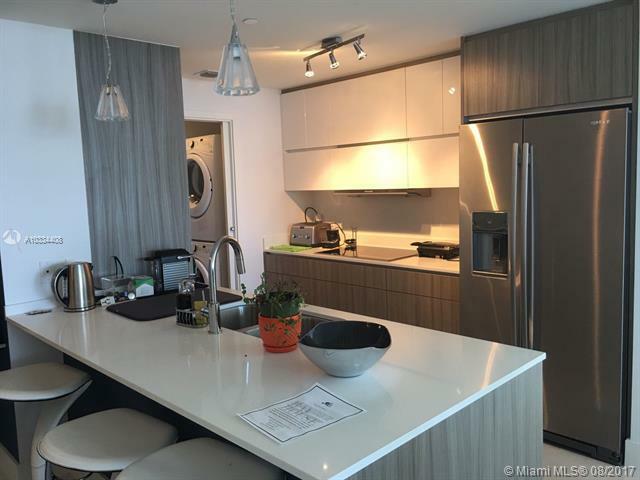 A European flair flavors kitchen and bath design, featuring Italian cabinetry and high-end European appliances and fixtures. 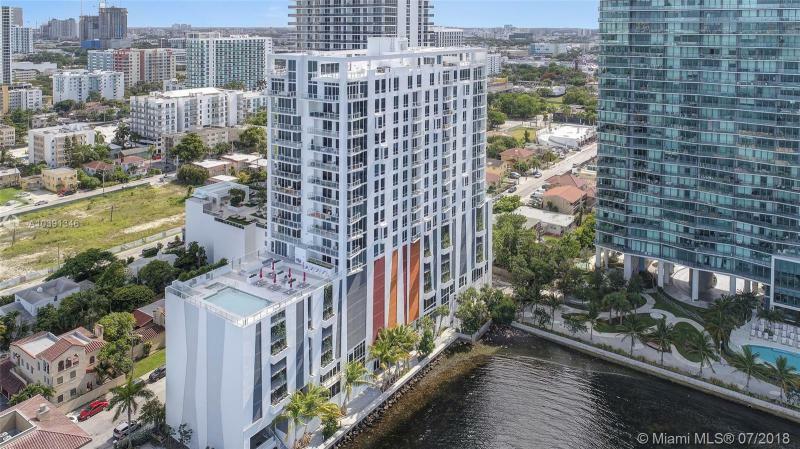 The design team at IDEA has created for MCKafka development an affordable mix of condos and penthouses. 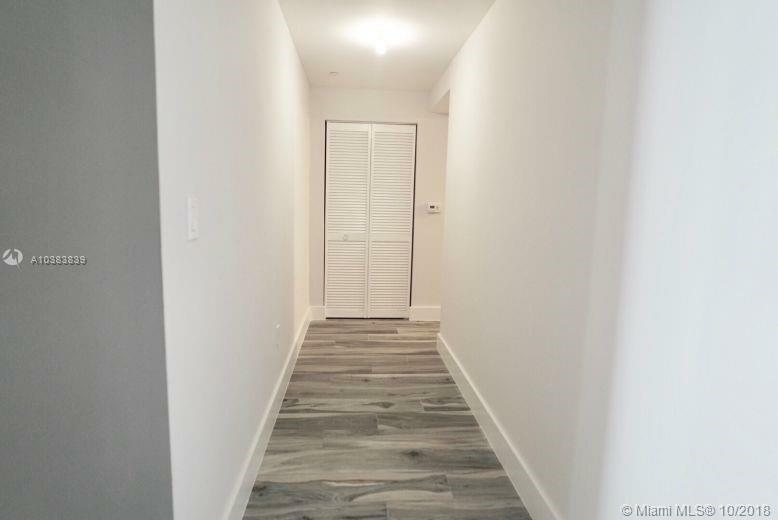 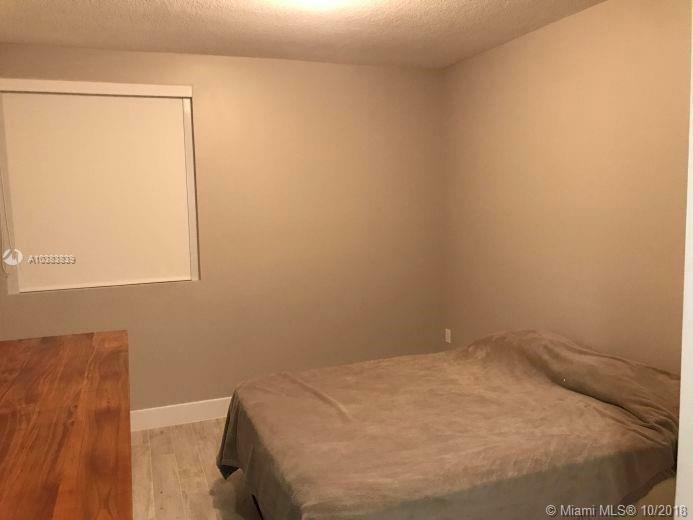 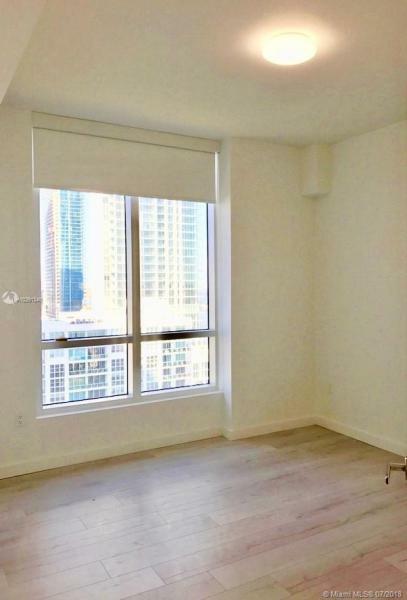 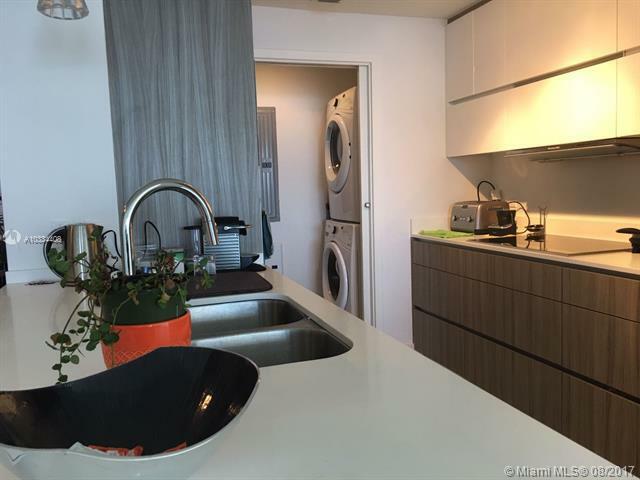 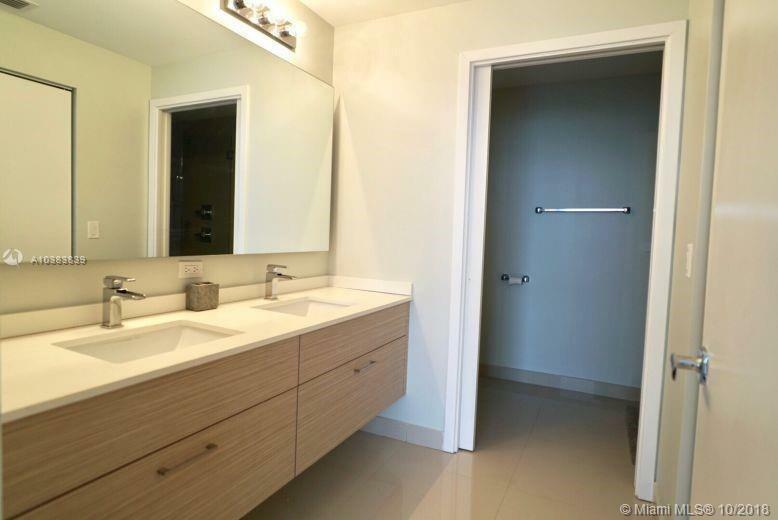 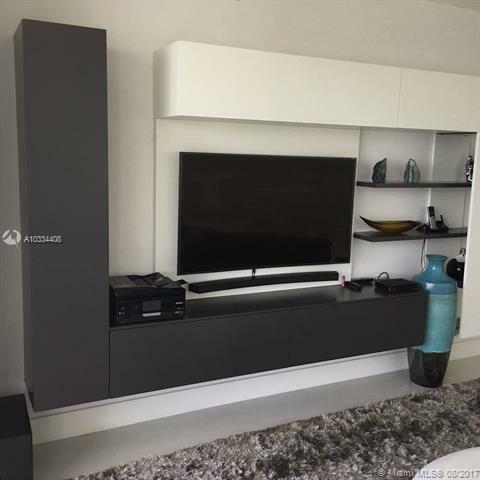 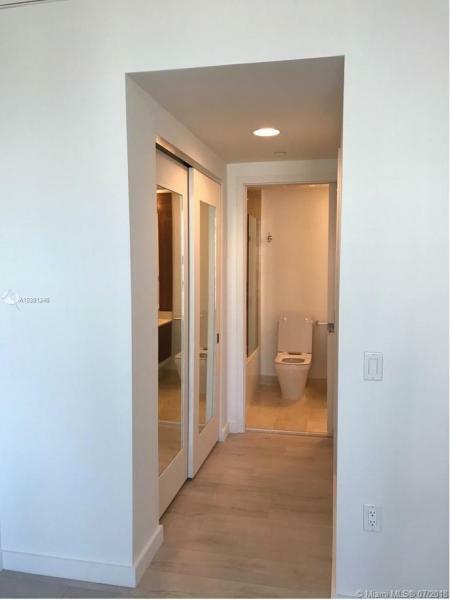 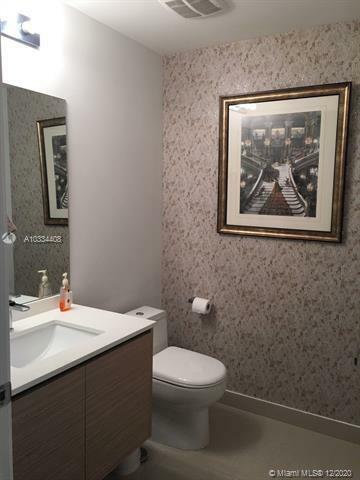 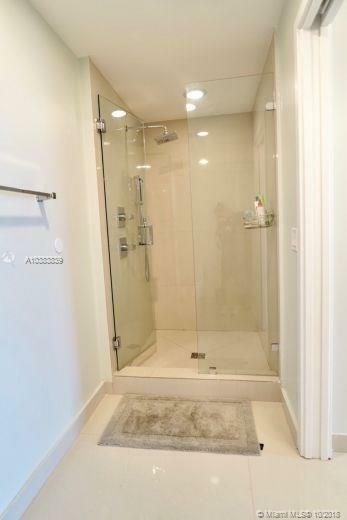 Units come in a choice of one to three bedrooms and range from about 780 to 1600 square feet. 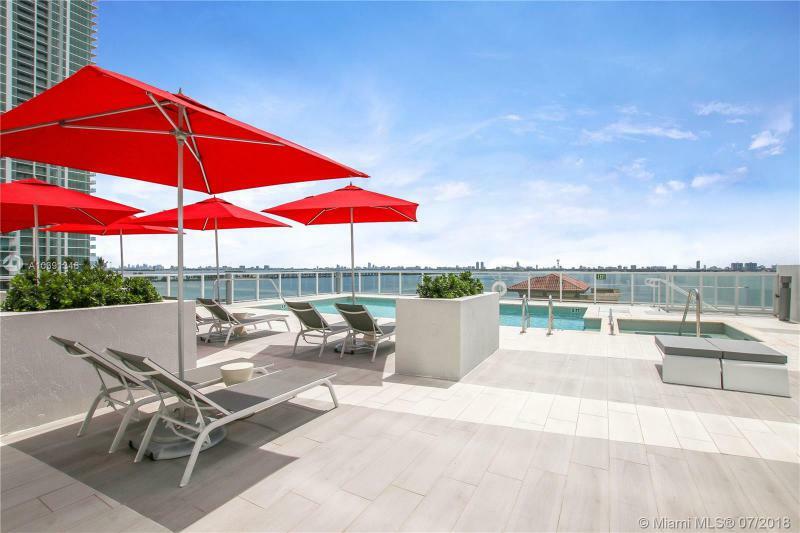 In addition, six penthouse units offer an outdoor terrace and summer kitchen plus a private hot tub. 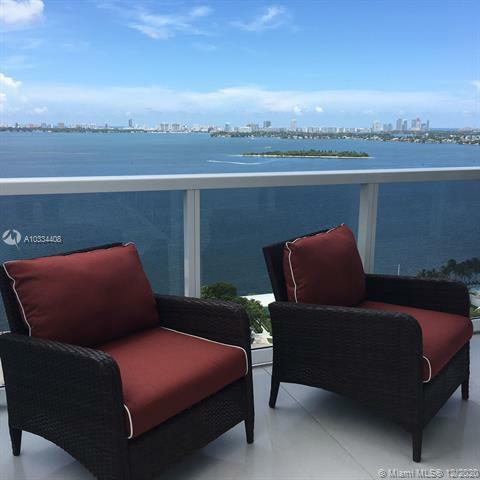 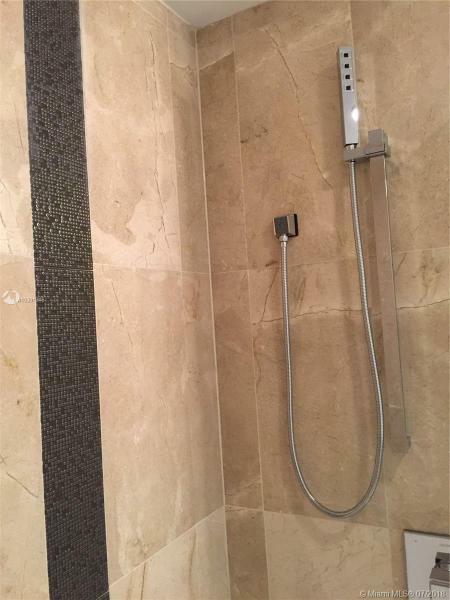 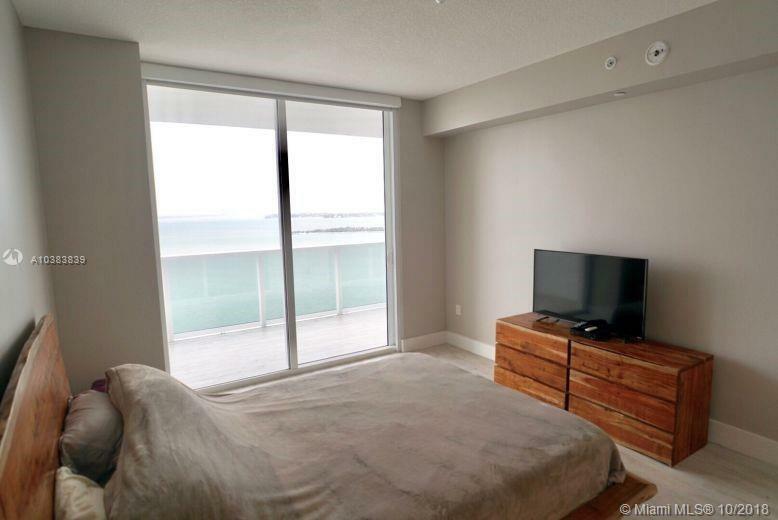 Practical considerations are evident from the ground up at the Crimson condominuim. 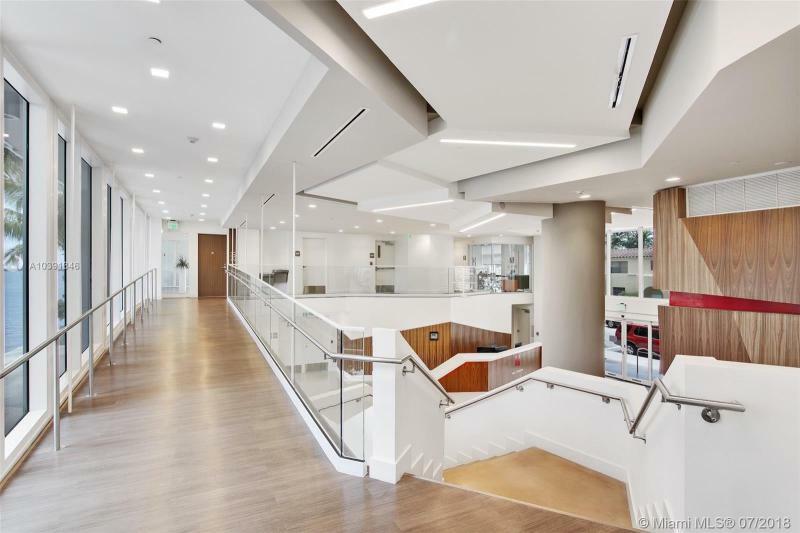 The Smart Building is designed for Silver Leed Certification, keeping energy use to a minimum. 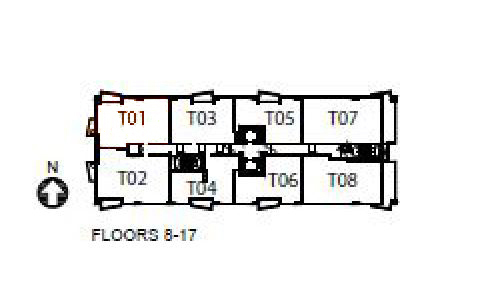 Each unit’s parking space includes storage. 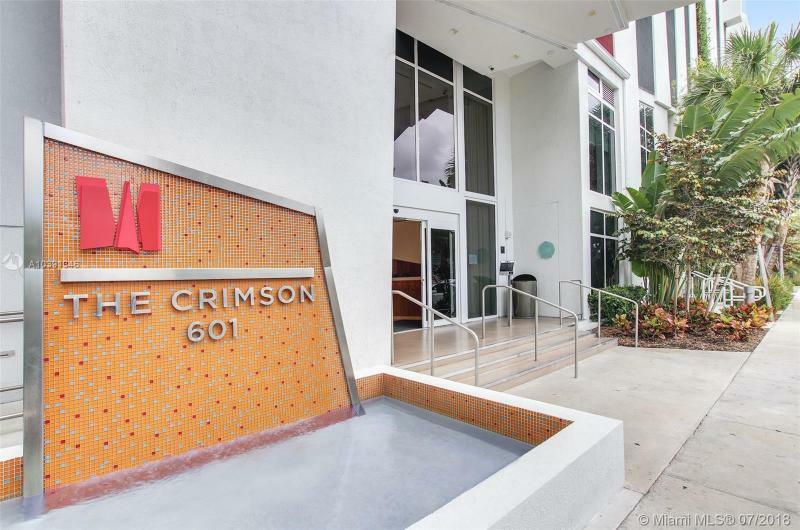 Whether a home or a home away from home, the Crimson may be a perfect match for your residential needs. 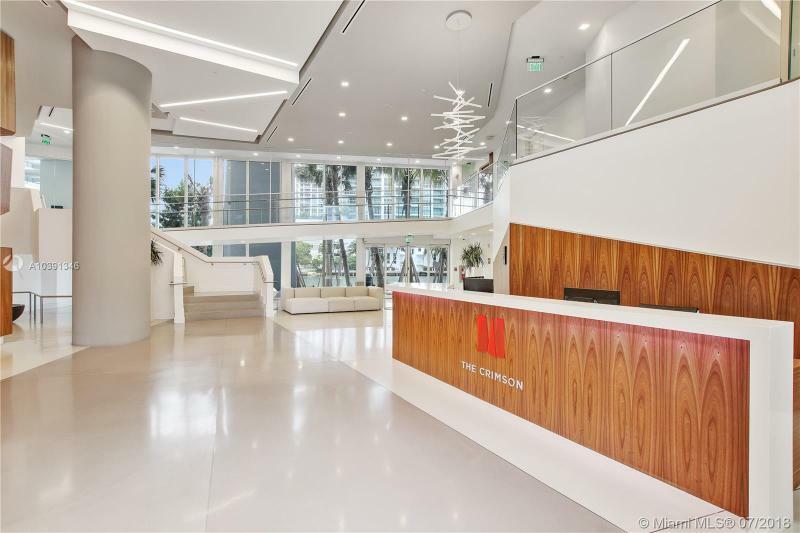 Just next to the Crimson discover the Icon Bay, another great preconstruction in Miami.